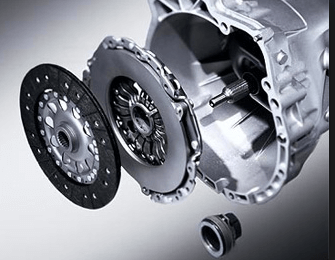 The transmission in your car is one of the most important and structurally complicated components in the entire vehicle. The sophisticated hydraulics and computer controlled electronic portions work together to change gears within the engine. The engine transfers power to the wheels in order to move your car. While transmission repair can be costly, routine service and fluid changes can help maintain your manual or automatic transmission. In any case, keep these 4 common transmission warning signs in mind. While you might ignore a little fluid on your driveway, fluid leaks can lead to big and expensive car problems quickly. Transmission fluid is essential to car’s shifting capabilities so pay attention if you notice this bright red fluid starting to leak. Most cars nowadays have sensors that will pick up irregularities and trigger your car’s computer system to let it know there is an issue. In terms of your transmission specifically, sometimes sensors can pick up problems that you aren’t able to see or smell. One in particular is your transmission temperature which will tell you if your transmission fluid is burning hotter than it should. If this light engages, check transmission fluid level and engine coolant* level right away. *Note: never check coolant if your car’s engine is warm/hot. Transmission fluid is responsible for keeping the transmission parts lubricated while also preventing the unit from burning up. In general transmission fluid has a slightly sweet or tart odor. If you start to notice a slight, burning odor, this is the time to schedule(quickly) your next fluid change. An easy way to check your car’s transmission fluid is to check the dipstick located- check your owner’s manual to locate where it is. With your car in neutral or park, let your engine run until it is warm before pulling the dipstick out (Do not turn your engine off). To check the fluid color, first rub between your index finger and thumb- the fluid should be pinkish and almost clear. A brownish or burnt smelling fluid means it can no longer dissipate the heat the transmission generates and has to be changed. Lack of response or a delay in movement could mean transmission issues. Since transmissions are designed to go into the correct gear every time, a hesitation is a definite sign something isn’t right. This is not only a concern for your car and wallet but a safety concern as well. Bring your car in and we’ll check it out. If you notice any of the signs listed above, bring your vehicle to Transmission Technicians. We’re celebrating over 30 years in the business and we are the trusted experts for automatic and manual transmission repairs!